SummitNaturalGasEmployeesVolunteerattheFalmouthMerryMileRun - Summit Utilities Inc.
Winter is here and the holidays are upon as. 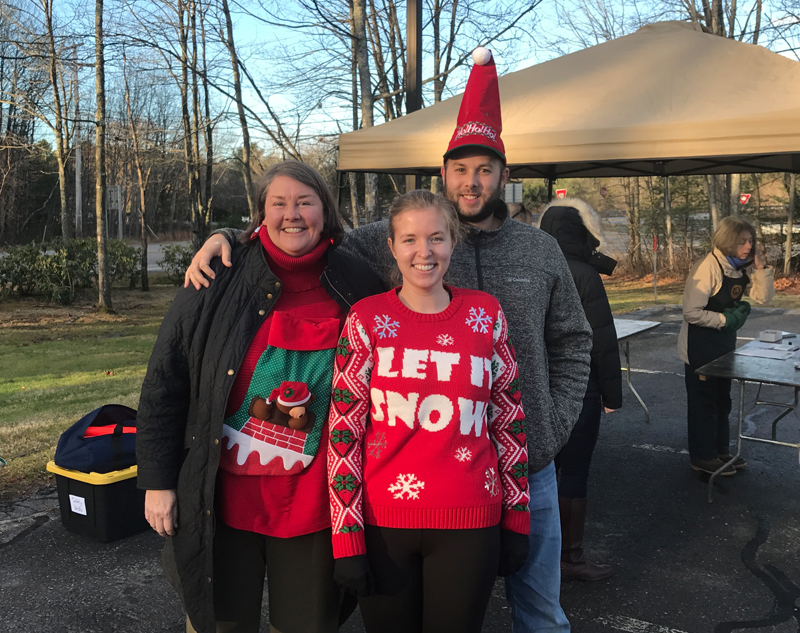 On December 3, Summit Natural Gas of Maine sponsored Falmouth’s first ever Ugly Sweater Merry Mile. Funds raised from the event were donated to the Falmouth Food Pantry. A number of Summit employees were on hand to help at the event.